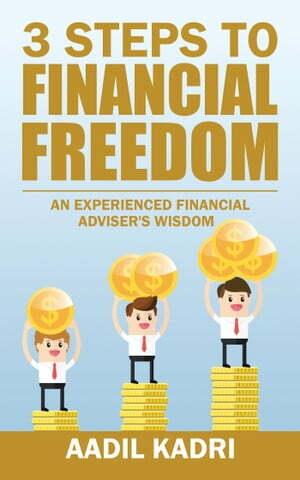 Collins Booksellers - 3 Steps to Financial Freedom by Aadil Kadri, 9781482886900. Buy this book online. From humble beginnings as an average academic and struggling salesman, this Indian professional financial advisor has clawed his way to the top of his profession. Aadil is a qualified and result oriented CERTIFIED FINANCIAL PLANNERCM besides being a Qualifying and Life member of the Million Dollar Round Table (MDRT). He is a member of Toastmasters International and is also associated with Speakers Bureau of Dubai. He conducts regular seminars on the Importance of Financial Planning. His views on insurance and financial services in the UAE have been much sought after and published in newspapers. He was once broadcasted on radio talk show in UAE. His articles have been featured in various journals and magazines. A dynamic individual, he believes in leading from the front and is passionate about spreading financial awareness and the need for proper financial planning. He has been advising clients on a range of financial services for over 20 years. He has strong business acumen in advising individual and corporate clients on securing their financial future based on their personal and professional goals. He motivates audiences worldwide to live a debt-free life, manage money in the most practical manner through presentations to businesses, organizations and entrepreneurs. His vision is to help his clients achieve financial freedom and his mission is to secure your tomorrow today. Financial freedom is what everyone is aiming for and looking forward to achieve. This book helps you to achieve it in 3 simple steps. 1. Debt management: how to eliminate debt and live a debt-free life 2. Money management: key techniques to develop a saving/investing mindset 3. Financial planning: a step-by-step approach to create a personal financial plan.